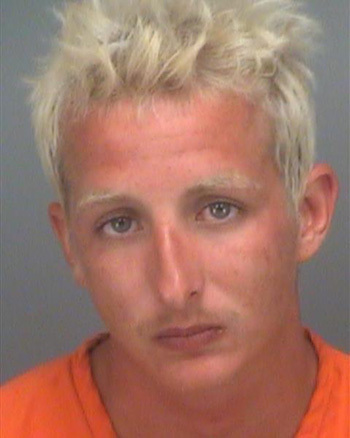 That was the explanation Timothy Wagner, 23, gave Florida police Sunday evening following his arrest for animal cruelty. A criminal complaint does not indicate whether the reptile was killed. Pictured above, Wagner was arrested for animal cruelty. He was released yesterday from the county jail after posting $150 bond.